Under theauspices of President Abd El-Fattah Al-Sisi President of Egypt,Prof. 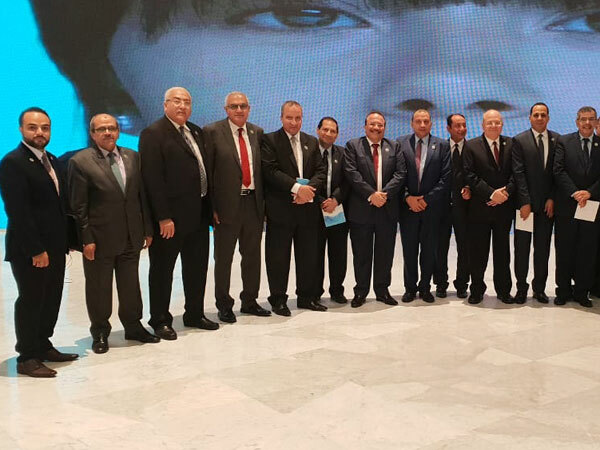 Ashraf Abd El-Hafeez, Acting President of Fayoum University, is participating in the activities of the Second World Youth Forum, which was opened by the President Abd El-Fattah Al-Sisiin Sharm El-Sheikh in the presence of a number of elite and international leaders and some public figures. It is worth mentioning that the Forum is held from 3 to 6/11/2018.It is attended by 5000 participants from 145 countries around the world. Accordingly, they came to discuss a number of issues within the frameworkof somemain topicssuch as peace, creativity, development and many other important topics in the international area.